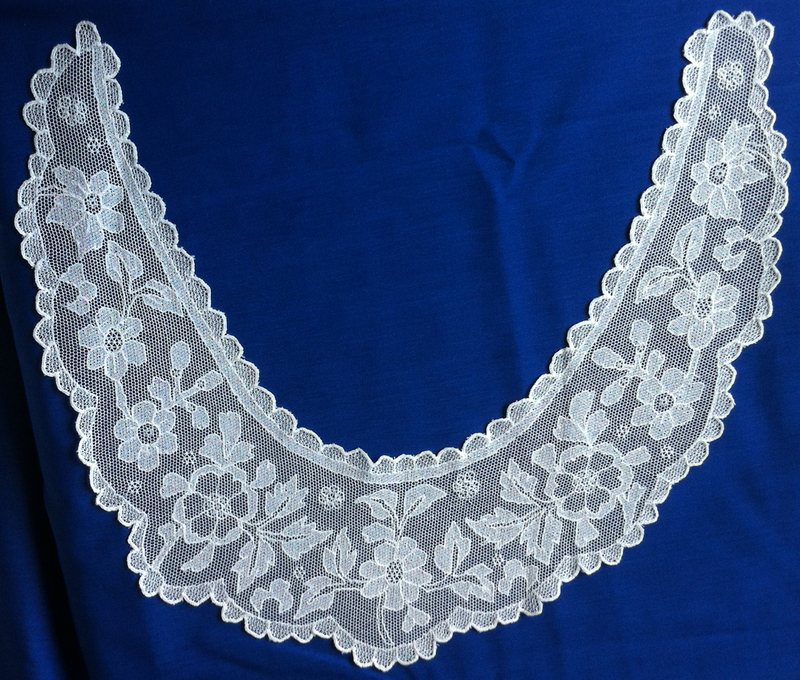 The origin of Limerick lace differs from all other Irish laces in that it was a purely commercial enterprise started by an Englishman, whereas the rest were the outcome of the philanthropy of Irish ladies. 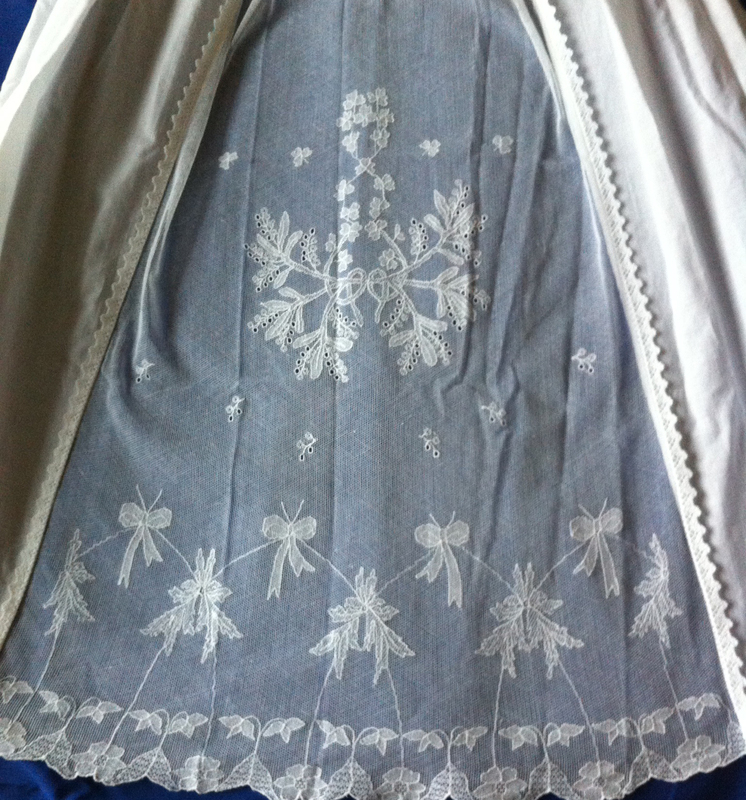 Limerick lace dates back to the late 1880s. 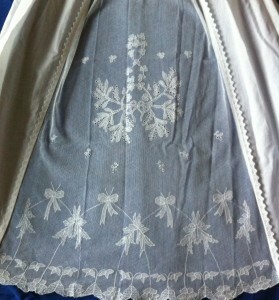 Charles Walker, an Englishman married the daughter of a Nottingham lace manufacturer. They moved to Limerick and there founded the lace industry in 1829. They brought over lace workers from England the teach the skills of lace-making to the women of Limerick. By 1842 the industry was well established and hundreds of women were making lace. After Charles Walker’s death in 1849, some workers returned to England and the lace business declined although some pieces of Limerick lace were shown at the Great Exhibition in London in 1851 and were awarded medals there. However, the demand for lace fell, and the trade of lace-making in Limerick nearly died. In the 1880s the craft was revived due to the great energy of Mrs Vere O’Brien whose exertions to improve the lace were untiring. She set up a school to teach drawing and design, using her own artistic abilities to revitalize the industry. Under her direction, Limerick lace pieces found their way into the Court of Queen Victoria. At the Convent of the Good Shepherd, the tradition continues to this day. (a) Tambour in which the embroidery was done using a hook to work a chain stitch. 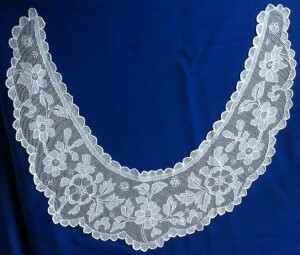 (b) Run Lace which is much lighter and more delicate. 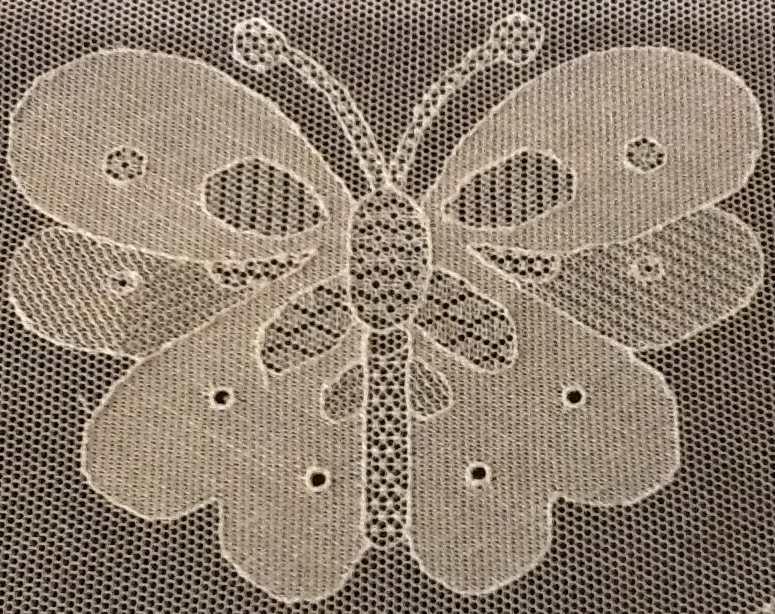 The design is run on to the net with cotton thread and filled in with darning. 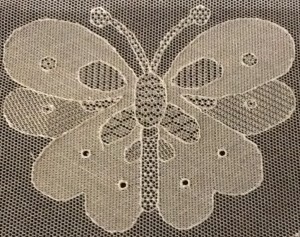 Spaces here and there are further ornamented with fancy net stitches. In old times Tambour and Run Lace were sometimes combined but this fashion did not take. 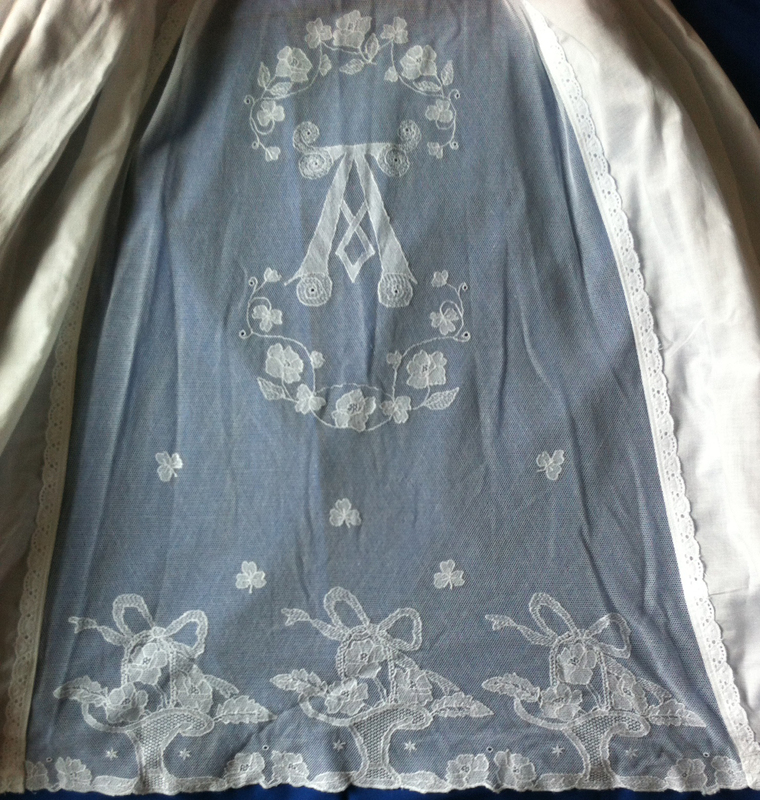 The amount of work which goes into making Limerick Lace is astounding, but the beauty of the finished article is just reward for such dedicated work.